AcroYoga is an integration of yoga, acrobatics and healing arts. A practice that cultivates trust, playfulness and community. At the same time a modern style as a tribute to ancient traditions. With its rich origins and creative nature the possibilities are infinite. From the more introspective, healing and listening to the more extroverted, expressive and joyful. 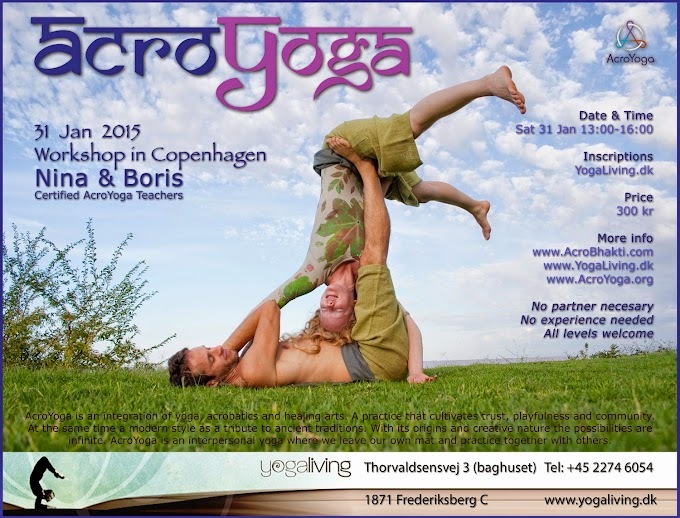 AcroYoga is an interpersonal yoga where we leave our own mat and practice together with others.